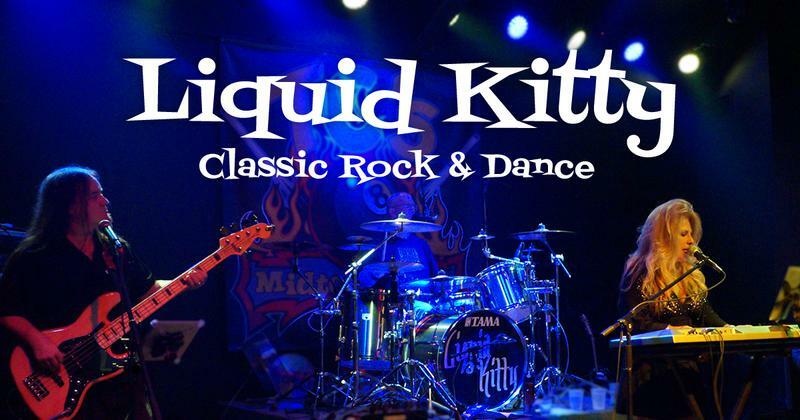 LIQUID KITTY is from Little Rock, Arkansas and they travel the entire state of Arkansas, no matter where the party is located the band is ready to rock the house. LIQUID KITTY performs wedding receptions, corporate events, class reunions, birthday parties and more. The band strives to give its best at every single performance. Currently, the band performs over 200+ cover songs from a variety of different genres that we all love to sing and dance to and the band is constantly adding more songs all the time. Liquid Kitty is happy to learn special songs for your event. The band plays a diversity of music including; 50’s, 60’s, Disco, Retro, Rock n Roll, Country, Blues, & Motown. The primary style is contemporary which includes, Dance, Pop, and Classic Rock. LIQUID KITTY band is always expanding the song list and stays on top of current trends and popular songs. They love to see people singing and dancing to their favorite songs, that's why LIQUID KITTY works so hard at learning new material. This Little Rock, Arkansas-based band has performed hundreds of events over the years as a band and as individual musicians performing in other bands. Liquid Kitty knows how to entertain a crowd and keep the energy flowing all night. The band has performed countless wedding receptions, company functions, festivals and private parties. Not to mention performing at some of the best local music venues in Arkansas. Liquid Kitty also loves to perform for local charity events such as "Crohn's & Colitis Fundraiser", "Arkansas Foundation for Skin Cancer" and many other charitable institutions.